The Link Light Rail Capitol Hill Station (CHS) located along the Central Link portion of the Link Light Rail system serves the Capitol Hill neighborhood in Seattle, Washington. The West Entry and Pedestrian Concourse were constructed as part of the CHS project. The West Entry, located on the west side of Broadway, just south of Denny Way, was constructed in a 30-foot deep excavation that was about 75 feet by 50 feet in plan view. 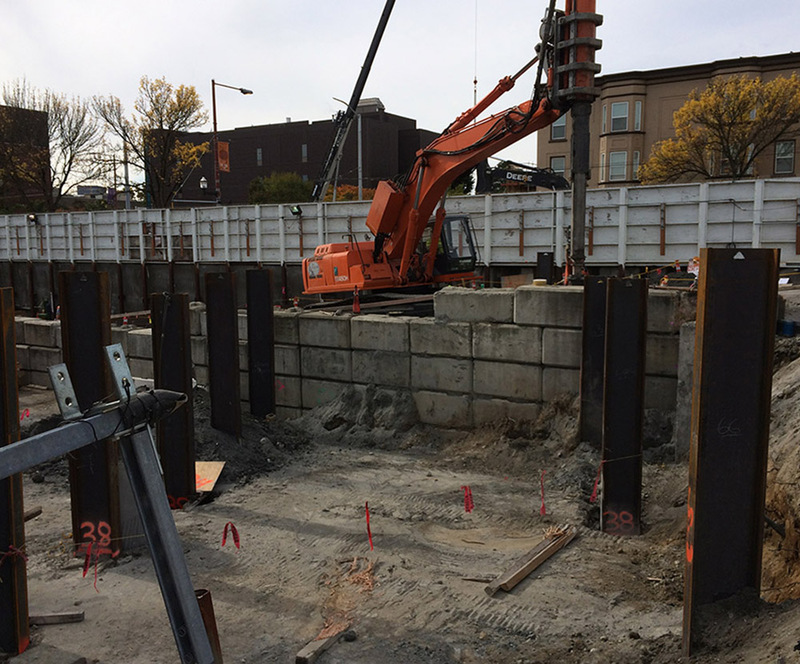 The excavation was supported with solider piles and lagging with tiebacks and a cantilever secant pile wall. The Pedestrian Concourse consists of a cut-and-cover tunnel that crosses just north and east under Broadway and connects the Pedestrian Concourse with the CHS. Temporary excavations for the Pedestrian Concourse were supported with solider piles and tieback anchors. Zipper Geo Associates was contracted by the shoring contractor to provide construction observation for temporary shoring associated with the West Entry and Pedestrian Concourse. The work required detailed documentation of construction as well as observation and documentation of tieback testing.